Africana Zambia Cufflinks are unique in our eshop. 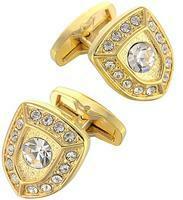 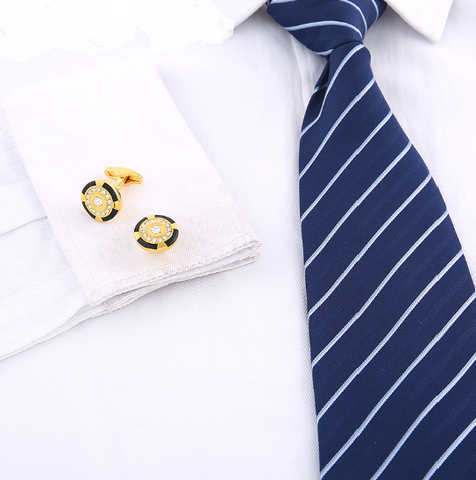 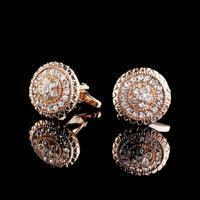 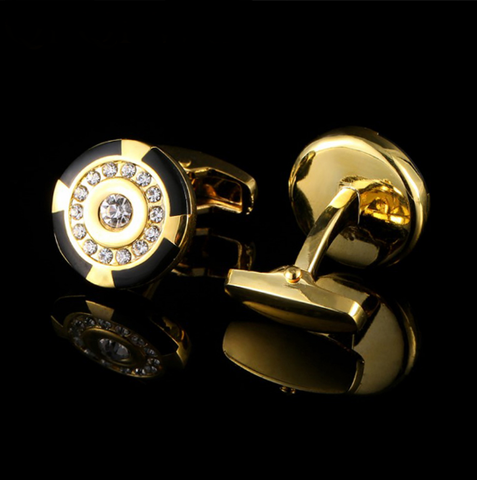 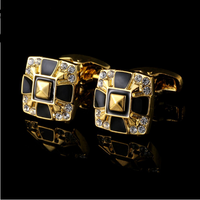 Cufflinks are golden colors and have a traditional round shape. 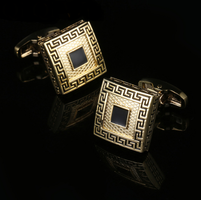 What it is, but perfectly mastering is a pattern. 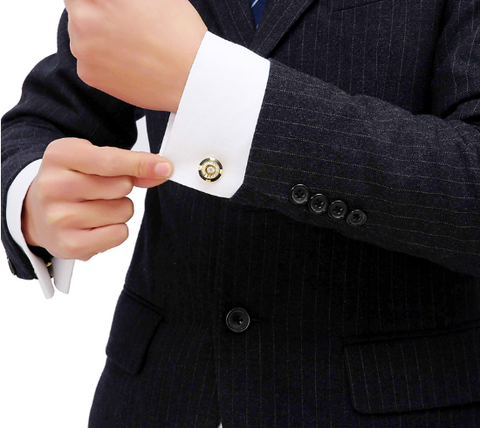 From the front, the cuff is fitted with stones around larger central stone. 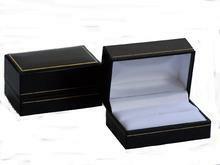 the sides are still provided with a black-gold bar. 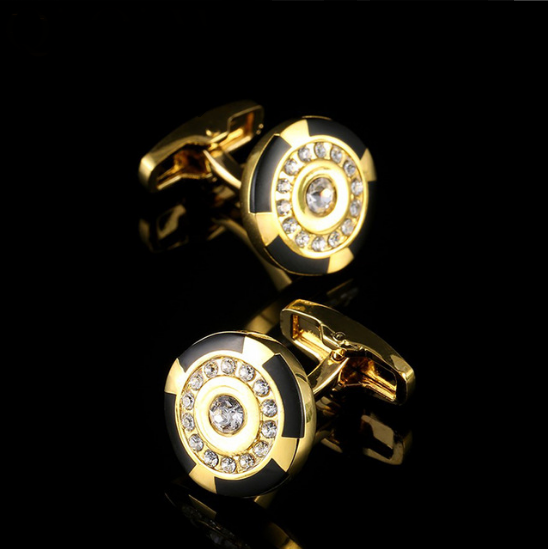 It is very elegant. 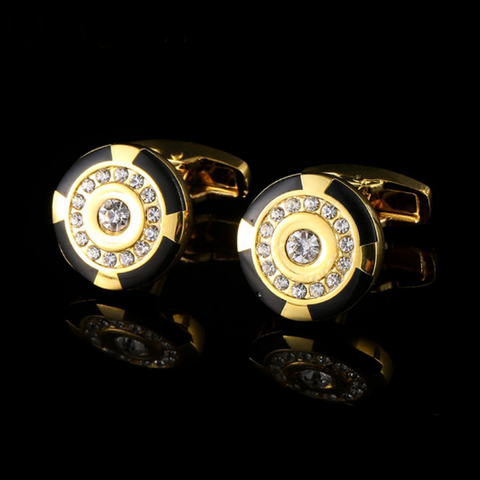 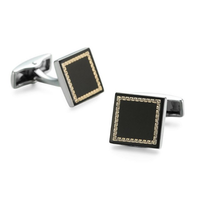 Cufflinks are an ideal present in opportunity of Christmas, graduation ceremony, birthday or Father's day. 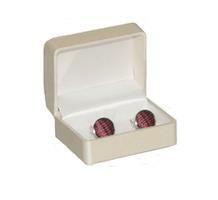 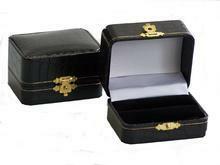 It is possible to send cufflinks in a special gift case.